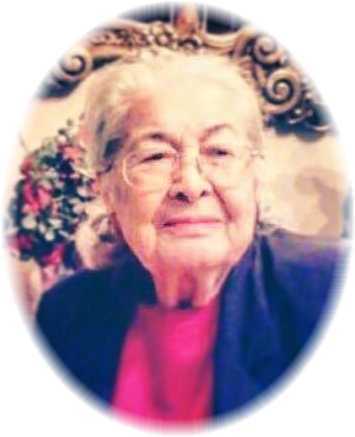 On April 3, 2019 at 5:30 p.m. Emma “Boots” Wallette passed peacefully from this earth in her sleep. She had her family around her while listening to gospel music, which was her favorite. Boots was 93 years old. Emma was preceded in death by her parents, Norman and Virginia Dubois, her brothers Patrick, Joseph and Henry; sisters Mary Desjarlis, Cecelia Dubois and Betty Pamer; husband Martin Wallette and daughters Carla Nefzgar and Janice Murdock. Emma “Boots” is survived by her sons: Karl (Carol) Wallette of Wolf Point, MT, Martin (Bonnie) Wallette of Miles City, MT and Greg Wallette of Belcourt, ND; a daughter Marilyn Wallette of Wolf Point, MT; numerous nieces, nephews, grandchildren and great grandchildren. Emma asked to be cremated and interred with her husband Martin in the Veteran’s Circle in the Greenwood Cemetery in Wolf Point. There will be a graveside service on August 3, 2019 which would have been their 71st Wedding Anniversary. A small get together will be held at Marilyn’s house at 104 Benton Street for anyone that may want to visit afterwards. Condolences may be sent to the family by visiting: www.stevensonandsons.com. It’s never easy to lose a loved one no matter the length of time they are here on Earth. Thinking of all of you with warm thoughts and prayers.